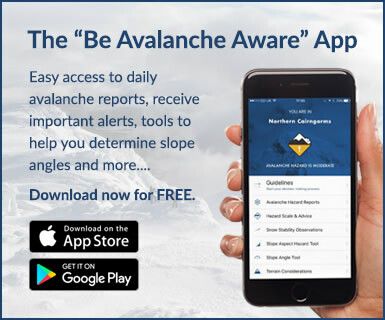 Daily Avalanche forecasts have ended for 2018/19 winter season. - General Snowpack Stability information. We recommend that mountain goers venturing into the hills continue to observe weather forecasts prior to their excursions, and visual observations of conditions during their trip. This information is important in making good plans and allowing for flexible decision making when in the mountains and hills. Mild spring conditions will continue but with some cold spells. Snowfields remain present in the mountains and hills above 750m, sometimes extensive above 900m notably in the Northern Cairngorms and Lochaber areas. 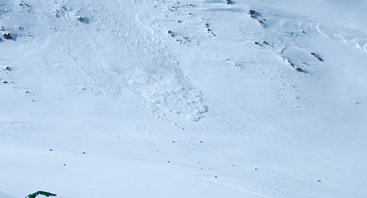 They may present a slipping and falling hazard if firm and icy and surface instabilities and sloughing is likely on steep, sun affected slopes. 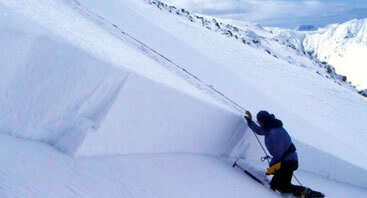 In places cornice remnants may continue to be an unpredictable hazard with collapse threatening slopes below, especially in the warm spring conditions. Likewise, the potential for full depth avalanches due to snow creep producing glide cracks in deeper accumulations on steep West through North to Easterly facing slopes may also present an unpredictable hazard. We would like to thank you for your support over the winter and wish you an enjoyable summer. With thanks from the SAIS forecaster team. Click on the area links above or select an icon on the map to the left. If you have any comments on our service including how we display report information then please let us know your feedback. 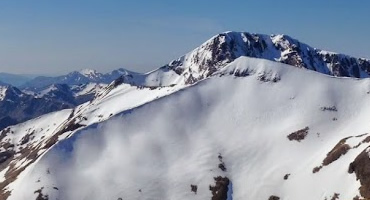 We publish daily reports of observed and forecast, avalanche, snow, and mountain conditions at the 5 most popular areas of Scotland during the season. With a continuing pilot period for the Torridon area. You can find out more about Avalanches or, about Forecasts or, about the SAIS by clicking on the relevant index link on this page. We keep an archive of all forecasts since 1993 which is browse-able and download-able. 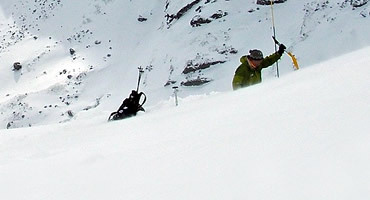 Reporting an avalanche, especially if witnessed, provides valuable stability information which can be used to help all mountain users with their decision making process and, which also provides essential data for avalanche research. 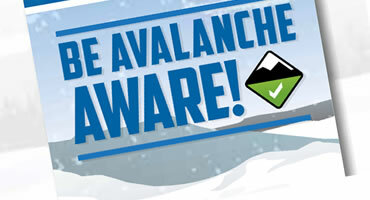 We encourage anyone who sees an avalanche to help the SAIS by Reporting an Avalanche using our on-line form. Please feel free to send us your Comments or Questions.